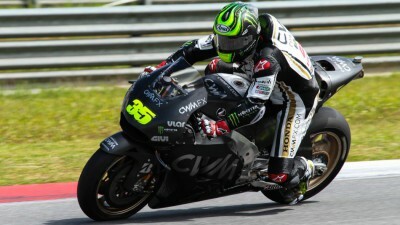 CWM-LCR Honda rider Cal Crutchlow declared himself pleased with the progress he made on the second day of the February tests in Sepang. 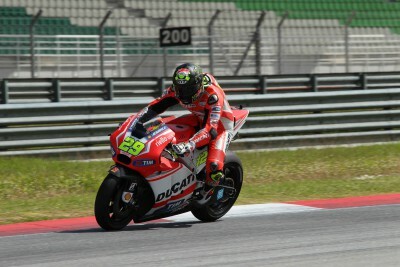 Crutchlow managed a total of 62 laps on his factory spec Honda RC213V and posted a fastest time of 2’01.058 which left him eighth on the timesheets – under a second behind the factory Hondas of world champion Marc Marquez and Dani Pedrosa. 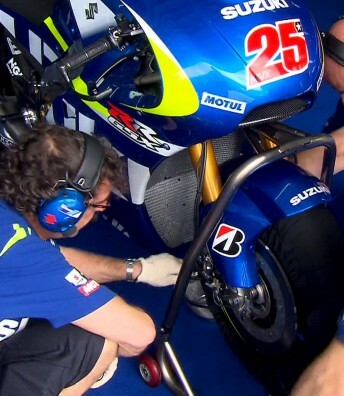 He completed a number of shorter runs and was able to improve his feeling on his new package as the day wore on. However, the Briton admitted there remains plenty of room for improvement and revealed he would be working hard to improve corner entry on the third and final day of testing on Friday. "I’m pleased with today, we made a lot of progress with my feeling with the bike. Again, we didn’t take my benefit from the new tyre again particularly, we need to still improve in that area. We need to also improve the corner entry as there was a lot of sliding on the corner entry of the bike so this will be our focus for tomorrow on our last day of testing in Sepang. The team’s been working great. We’ve been working hard, doing a lot of laps, but not so many in a row as we’ve been making quite a lot of changes. But tomorrow I look forward to doing a few longer runs and looking for the best settings to be able to come back for the second Sepang test (at the end of the month) and be comfortable." Ideal weather conditions greeted the MotoGP™ riders for the second of three days of pre-season tests at the Sepang International Circuit. The second testing day at Sepang was given a positive assessment by the Pramac Racing Team despite a small crash for Danilo Petrucci. Marco Melandri and Alvaro Bautista are hard at work with both the previous version of the Aprilia prototype and the new RS-GP. Monster Energy Tech3 Team rider Pol Espargaro concluded another successful day on track in the searing Sepang heat. 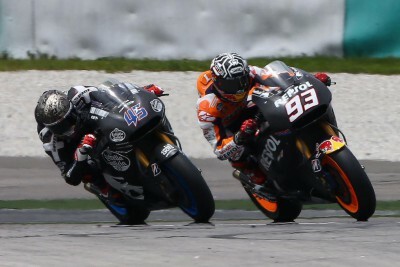 Repsol Honda’s Marquez and Pedrosa have completed another successful day’s testing in Sepang, finishing third and fourth respectively. MarcMarquez93 prepares to make his first exit of 2015! Equipo al completo, mañana comenzamos :) / Team complete, the test starts tomorrow! Jorge Lorenzo’s 1’59.963 lap was the fastest of the test so far at lunchtime on day two at Sepang. The first day of 2015 MotoGP™ testing ended positively for Team Forward Racing as Stefan Bradl was the top Open rider on the timesheet.